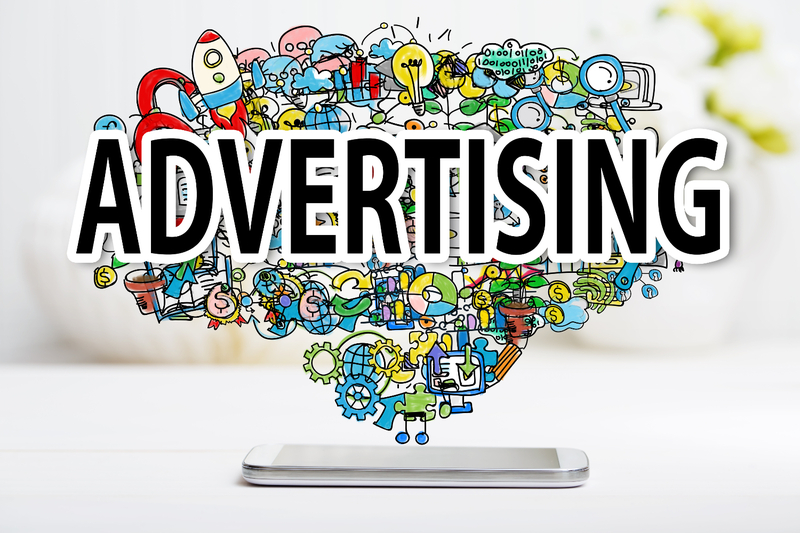 Advertising is a mode of communication either verbal or non-verbal which is used mainly by manufacturers to provide information, get attention to and creating awareness of a product or service that a manufacturer wants to sell or promote. The process of advertising reaches the audiences through different channels of communication such as television, internet, radio, neon signs, articles for instance magazines, newspapers and billboards. Different organizations advertise for different purposes. Some advertise to promote an image for their business, to bring in new customers, to create awareness of their products and increase sales by persuading consumers to buy their products. The main aim of advertising is to get your products or services noticed by many as possible (Graydon 2003, p. 3). How does advertising work? To begin with, for advertising to work it is necessary to understand and have knowledge on the basics and principles of marketing because advertising is a form of marketing. One has to determine the target audience and market and also to know what they are selling in addition to the products or services for instance status or self-enhancement (Clow & Baack 2007, p. 168). Advertising mainly works through persuasion and also through memory. For an advertisement to be effective, it needs to persuade the target audience and also leave an impact in them that they can use to recall about the advertising. To understand how advertising works we will use a framework to explain. The framework is divided into advertising input, filters, consumer and consumer behaviour (Demetrios & Ambler 1999, p. 26). Advertising input involves and targets mainly the consumer. It involves the creation of the message content scheduling of the media through which the advertisement will reach the audience and repetition. Creation of message content involves designing the advertisement and the necessary information to be conveyed through the advertisement for instance Hyundai automobiles, Cars that make Sense will be the message to be conveyed (Garey 2010). Once message is created, the medium of communication is scheduled so as to find the best way to reach a larger audience. A time slot is determined so as to convey the message. The use of repetition is of importance because it has a mental effect such as awareness, memory and attitude towards the brand which determines the consumers’ behaviour. All these components constitute the advertising strategy that will trigger a consumer’s response. The consumer’s response which is determined by several factors such as motivation, ability to process information and attitude towards the advertisement will therefore determine the consumer’s response to the advertisement. These aspects are what are considered as filters of the initial advertisement input (Demetrios & Ambler 1999, p. 27). As a result, the consumer’ will then decide either to buy or not to buy the products or services being advertised. As mentioned above, all these processes function to persuade the consumers’ and also leave a mental picture with which they can identify with. The resultant response is that the advertising will have served its purpose which was to relay a message to the target audience about a particular product or service being offered. Some theories used in advertising to create an effect on the target audience include the salience or weak force theory, the persuasion theory, mean-end theory and hierarchy of effects model. The salience or weak force theory is mainly used when the aim is to maintain a brand. In a market there are many consumers with different preferences and also competitors trying to get more customers. The salience theory works to defend and maintain your customers by providing publicity for your products and also reinforcing memory association for the brand (Ehrenberg et al. 1998. p. 2). A brand is said to be salient when a consumer buys the products because it stands out meaning that the consumer is aware of the brand, has considered the brand, and is willing to pay for it, considers purchasing the product again and is assured of the brand in terms of quality. Therefore, in advertising, we look at how many consumers the brand is salient. For a brand to be potentially salient, it has to have a distinctive name and symbol so that the consumer can focus on it. To develop salience for a new product awareness and trial are important. For an existing product, reinforcement and nudging will be effective. The salience theory works mainly by memory traces for the brand. The advertisement will focus on reminding you of an existing product or even through seeing someone with a shirt with the brand name will refresh your memory on the product. This can also be done through memory association with the use of particular colours for a particular brand. All these work to make a brand salient (Ehrenberg et al. 1998, p. 2- 7). Persuasion theory mainly focuses on brand building and is mainly for short term- growth and to differentiate similar brands. The differentiating of brands through advertising is used to achieve a competitive advantage and give consumers a reason to choose the brand (Ehrenberg et al. 1998, p. 7). To have an effect on customers, advertising using the persuasion theory involves the changing of the products appearance mainly its packaging, offering gifts when you purchase a particular brand and addition of substances such as colour, scent to the products in order to increase sales. All these are persuasive techniques used in advertising. The means- end theory which is used mainly to make consumers identify with a brand suggests that an advertisement should contain some information or a message that can lead a consumer to identify with the product. This is mainly seen with different brands having different catch phrases even warnings. All these create awareness and affect the consumers’ perception of a brand. The hierarchy of effects model theory defines six steps that a consumer observes when making a purchase and they include awareness, knowledge, liking, preference, conviction and purchase (Young 2005). With knowledge of such a theory, a manufacturer can create advertisement that will persuade the customers to prefer his brand to the others. As we see that awareness is important in advertisement, this theory begins by emphasizing on awareness as it is the way you can influence consumers. In conclusion, we see that advertisement is very important in communicating about an existing product or service as it can result in an increase in sales. Also advertisement can be channelled through different mediums such as electronic print. For advertisement to be effective it must be persuasive so as to influence the consumers’ behaviour and it should have a mental impact. Theories such as weak-force, persuasion theory, mean- end theory and hierarchy model are used in advertisement to create awareness and impact on the consumers’ behaviour. Though advertising does not necessarily result in increased sales, it is effective in creating awareness of an existing product or service in the market.